The steady increase in patient numbers at The Indus Hospital in Karachi had highlighted the urgent need to expand the facility to be able to serve more people with free of charge and quality healthcare. The Indus Hospital, Korangi, Karachi, is now expanding to a larger facility which aims to serve with 1000 beds. The expansion project is in its first phase of construction. We need your help to complete this project and inaugurate this facility by the year 2024. You can support us by donating bricks worth of PKR 500. 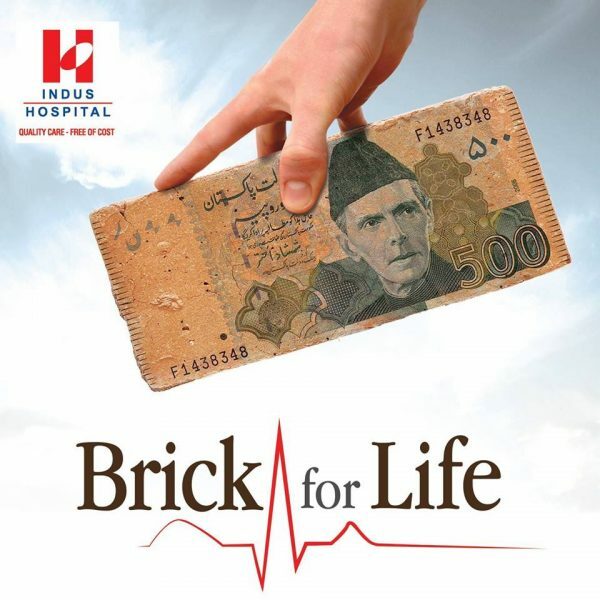 Your contribution of a brick will directly go towards serving the under-served patients of our nation.